You don’t always need to hop on a plane and jet off to satisfy your itchy feet. 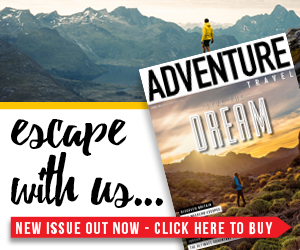 If, like us, you’re always craving for a trekking adventure, you may want to look closer to home before whipping out your passport. 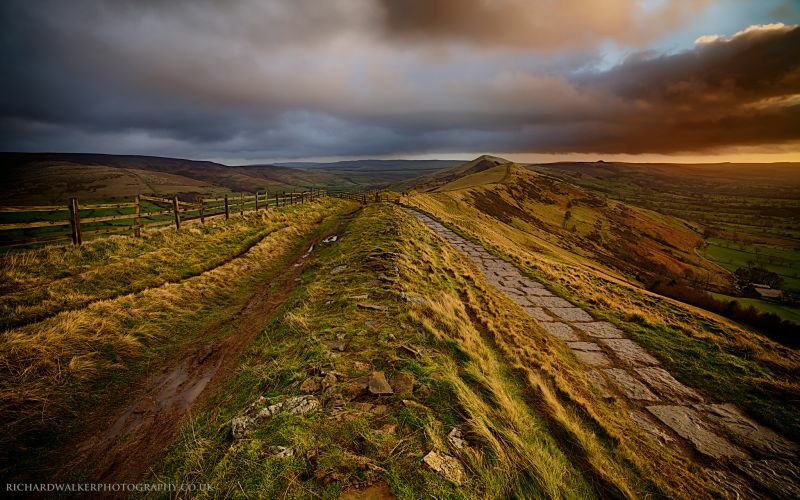 Located in central England, the Peak District National Park is home to some of the UK’s finest and most accessible hikes. 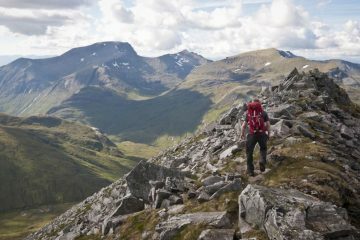 Dominating tors, snaking valleys and rural villages all combine to create the perfect formula for a hill-walking weekend. 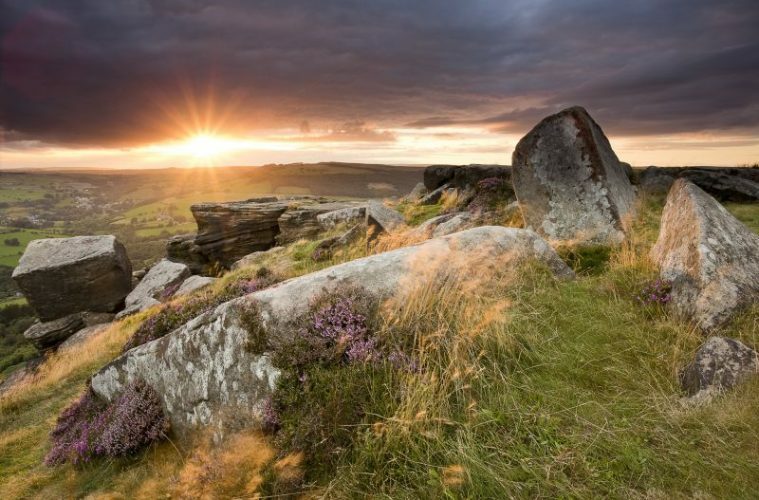 Grab your day-pack, because we’ve picked out nine of the best Peak District walks on offer. This is one of the more classic Peak District routes. Starting in the village of Edale and steeped in rustic charm, you can hardly argue why. Totalling a healthy 9.7 miles, this packhorse ascent to the moorland plateau of Kinder Scout offers views of breathtaking scenery every step of the way. 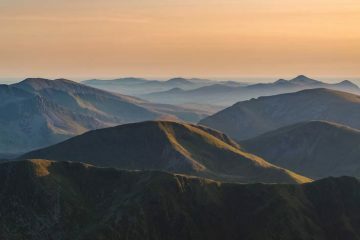 It’s the perfect route to reach the highest point in the Peak District, with a zigzagging descent that will put your outdoor skills to the test. This vintage hike is a hot favourite among hill-walkers, and we can definitely see why. The Peak District is home to some of Britain’s finest landscapes, and this route in particular shows off a handful of these ever-changing backdrops. Beginning in Birchen Clough, you’ll get used to the tumbling mountain streams that slowly form to a subtle waterfall, draped in vibrant heather. The deep, clear pools of Fairbrook are nothing but a memory as you approach the craggy amphitheatre of Kinder Downfall before slowly descending Snake Pass through Ashop Clough. The walk is 8.75 miles in total and is not one to forget your camera. 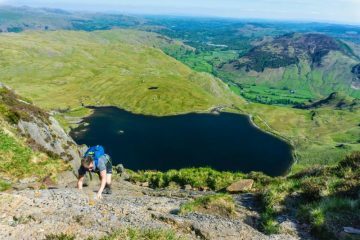 Heading further into the Peaks, this three summit trek is an exhilarating option that offers a vivid green palette of a limestone valley, scattered with narrow paths and loose terrain. Passing the limestone gorge of Cave Dale and the Windy Knoll caves, once a shelter for nomadic Stone Age hunter-gatherers, you’re then tasked with the steep ascent of Mam Tor. Your endless steps are rewarded with a dramatic viewpoint, doubled when you move on to reach the summit of Lose Hill. 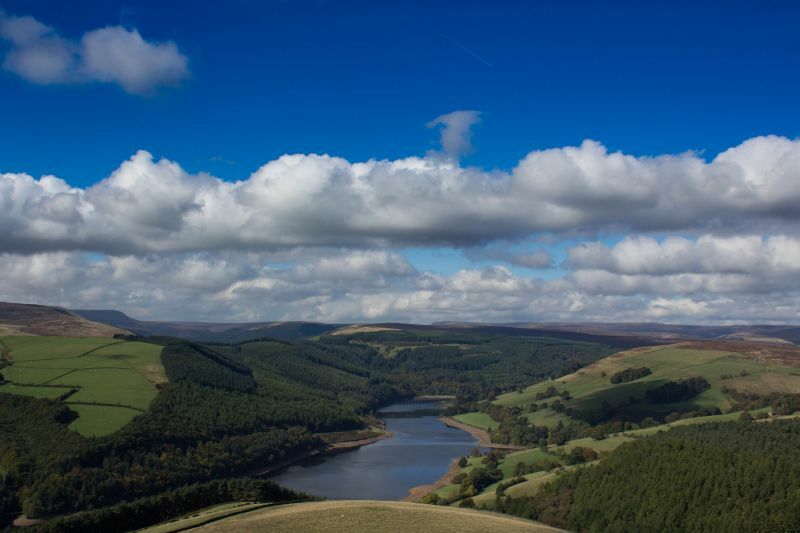 This 9.5 mile walk deserves a place on everyone’s Peak District bucket list. The Southern Gristone Edges are a must do when it comes to the best Peak District walks, and this fairly lengthy trek of 11.5 miles with continuously changing views makes for perfect justification. Beginning in the Derbyshire village of Baslow, the Gristone Edges form an escarpment, offering high level footpaths that soon descend eastwards. Passing across the prominent Baslow, Curbar and Froggart edges, panoramic views are aplenty from the heather-topped spots you find yourself in. As you wind down through Chatsworth Park, keep your eyes peeled for a sighting of some red deer stags, which is the cherry on the top of this marvellous walk. 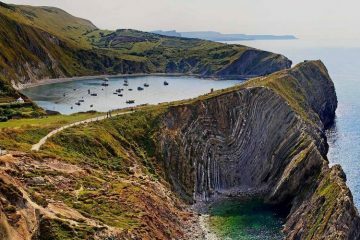 If you’re after a tougher hike with a longer duration, this outing is definitely worth the while. Starting in the remote setting of Gradbach, the Dane Valley offers a winding woodland path above the river, slowly descending through a wooded gorge. The gristone escarpment of the Roaches showcases extensive 360-degree views of the Staffordshire countryside, draped in weathered rocks, soaring crags and heather-clad moorland. The final descent is a welcomed one, venturing through the Black Brook Nature Reserve and back into Gladbach to complete this circular 12-mile adventure. 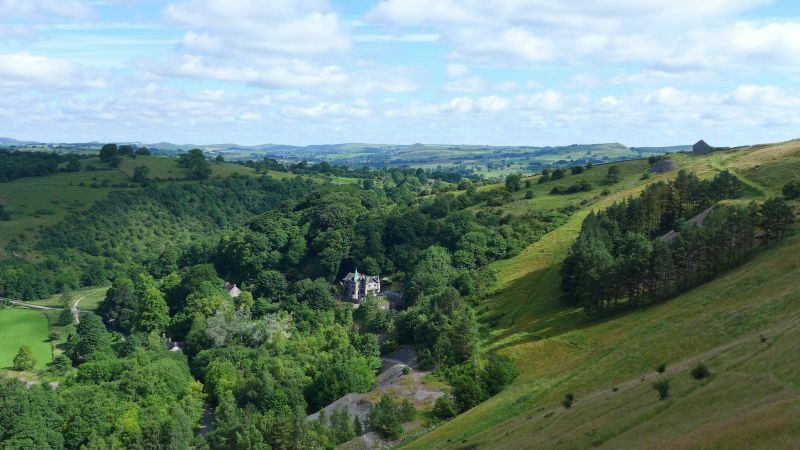 This gradual but adventurous ascent, kick-starting in Miller’s Dale, is a 9.8-mile round walk offering impressive limestone upland and a staggering deep river gorge. 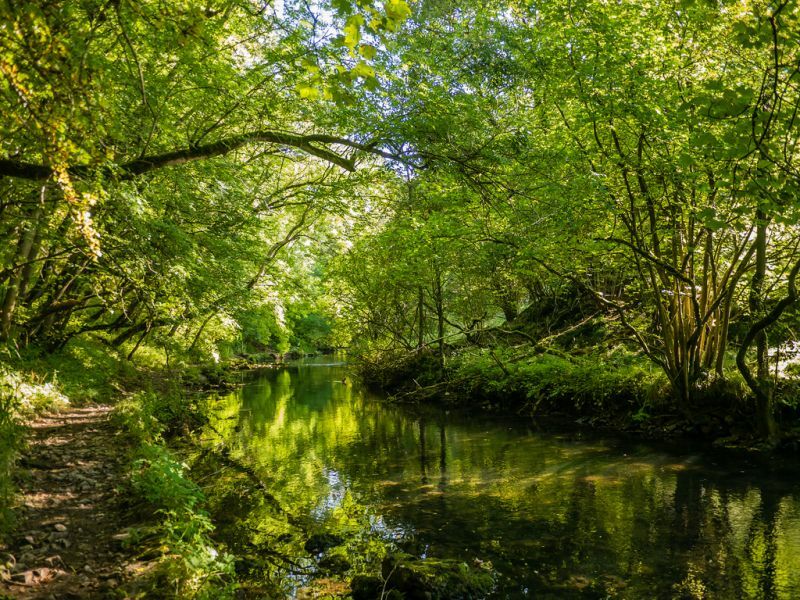 Passing through Taddington Moor, Deep Dale and Chee Dale, there are excellent vantage points at Horseshoe Dale to admire the secluded gorge that lures walkers all year round to this stunning part of the national park. Wet weather can become a problem with river crossings and a pair of walking poles are advised, but this all adds to this marvellous adventure. Chrome Hill is an epic natural landmark that combines panoramic views and fascinating geology to earn itself a place as one of the best Peak District walks. From the old market village of Longnor, the ascent along the narrow, limestone ridge of Chrome Hill may seem fairly exposed, but when mastered, offers a great vantage point for its charming surroundings. Conquering this 425m beauty leaves you standing majestically over the Dove Valley, before a historic descent takes you past the Dowel Dale cave, which was once used by Stone Age nomads. Plunging into the Dove Valley to finish this 8.25-mile trek, there’s one last quiet river crossing just steps before the quaint pub-scene waiting for you in Longnor, for a hearty lunch and a well deserved beer. Deep within the Manifold Valley of the White Peak in Staffordshire lies the mysterious, yet spectacular Thor’s Cave. Walking through and above the Manifold Valley, there’s a sudden halt as you’re faced with a giant 10m arch in the limestone cliff. Seen as a popular tourist attraction and rock climbing spot, this isn’t yet the end of your journey. You’ll go on to reach the summit of Ecton Hill, which, when timed for sunset, provides a breathtaking view of the Staffordshire Moorlands. This route is 8.5 miles in total, and is one you won’t forget for a very long time. 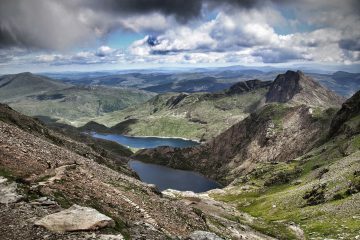 Live life on the edge with this 10.6-mile walk to the highest point of Back Tor and the stunning valleys of Derwent. 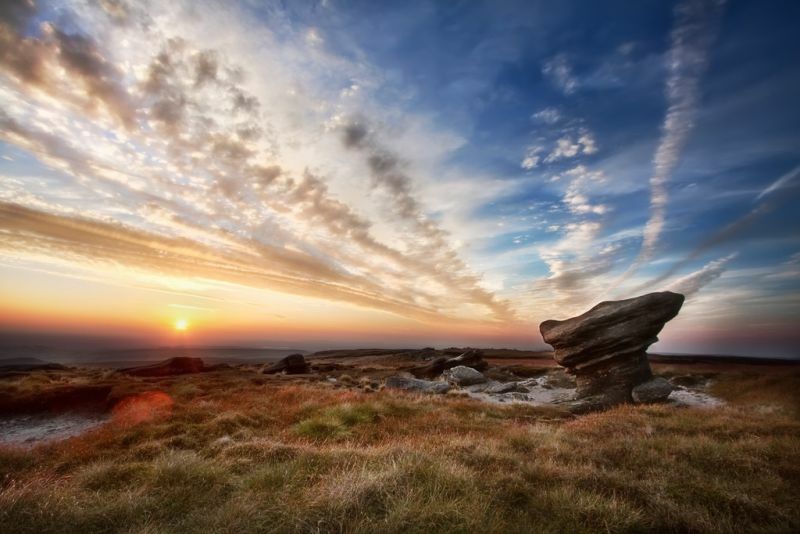 This hike exhibits stunning upland scenery and an eye-opening panorama from the grit-stone outcrop of Derwent Edge. 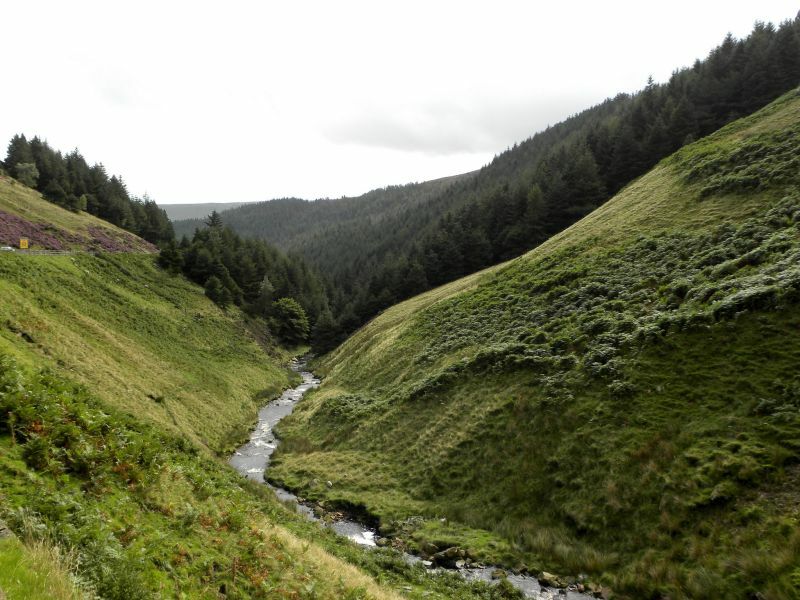 It quickly evolves from the winding valleys of Abbey Brook to the Edge’s pinnacle, with the last leg of the journey descending past the drowned river of Derwent. Want to explore the best Peak District Walks? How to get there: Travelling to the Peak District by train is very easy, as four train lines travel into or near the national park. You’ll also find it easy by car or bus, as there are major motorway and A road routes to the park. Where to stay: There is no shortage of accommodation to choose from when planning a trip to explore the best Peak District walks. A great source to try is the accommodation page on the Visit Peak District website.